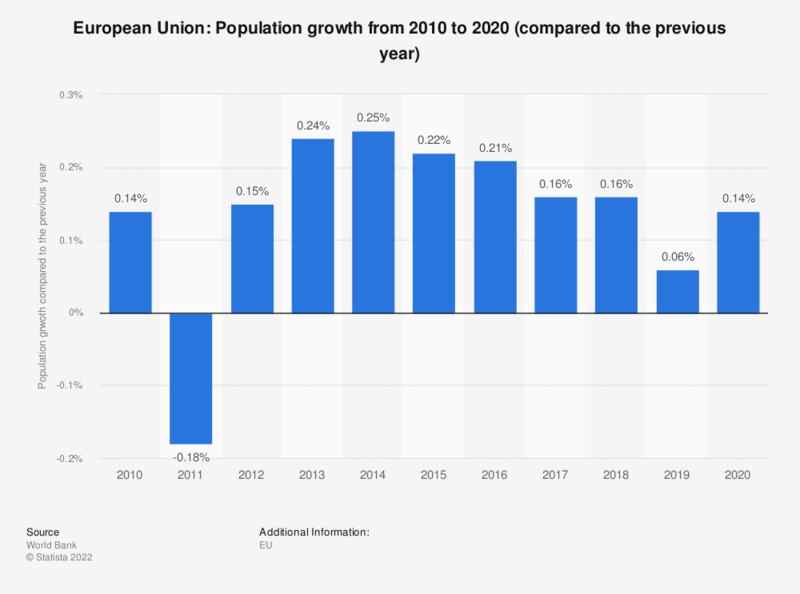 This statistic shows the population growth in the European Union from 2007 to 2017. In 2017, the population of the European Union increased by approximately 0.24 percent compared to the previous year. See the total EU population figures for more information. The figures refer to all current member states of the European Union, i.e. including those which were not member states previously.